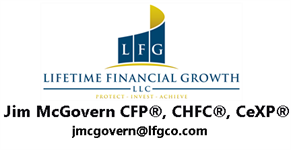 At Lifetime Financial Growth, we work with clients in all stages of life, offering a wide range of services that connect together to form one cohesive financial plan. We help clients establish their goals in life, both short and long-term, determine their assets and liabilities, and evaluate their current financial position before creating a comprehensive strategy. All of our services tie into the overall financial plan we develop for clients. It’s important to evaluate what would happen to your cash flow, assets, and liabilities in the event of disability, illness, death, lawsuit, or long-term care needs. By accounting for risks, we can structure a financial strategy that can succeed, even with adverse conditions. In creating a diversified investment portfolio tailored to their objectives and risk tolerance, we seek to help clients receive the highest rate of return with the least amount of risk. We analyze income sources, manage assets, determine future expenses, and identify estate planning goals. Through this process, we pull these together into one cohesive plan of action. We assist individuals and business owners with their estate planning needs, including offering insight and appropriate recommendations. We help clients identify how they want to pass on their assets, who will receive what, and when and how. A major concern among families is determining how they will pay for their children’s college expenses while still saving for retirement. We help clients calculate college costs, evaluate funding options, and create an education strategy tailored to their goals. We assist clients with debt analysis, consolidation, and budgeting, developing debt management tactics designed to improve their cash flow. From there, we help them develop a strategy for the future and help them stay on track. Insurance is an important part of a complete financial plan. With access to a wide array of insurance products, we can help clients determine what type of coverage is best for them.